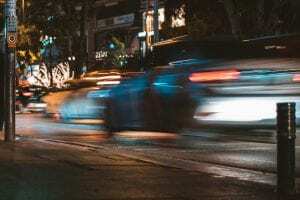 Olean, NY (March 17, 2019) – Police responded to an accident on Friday around 4:31 p.m. that led to injuries in two different people on West State Street. Police reported that 28-year-old Heather Chaffee, of Shinglehouse, PA, struck a vehicle being operated by 17-year-old Ashley Mott. The accident took place as Chaffee was turning left onto West State Street from the Mio Gelato’s parking lot. Chaffee received a ticket for failing to yield the right-of-way while making a turn. We would like to, first and foremost, extend our sympathies to those who have been impacted by this serious accident. We maintain hope that all injured parties will be able to move forward with their recoveries during this challenging time. Following a New York car accident, it is imperative to understand that you have many significant rights moving forward and that you are not at fault for your injuries. At Hach & Rose, our accident attorneys have fully devoted their lives to helping the victims of serious accidents and working on holding a party liable when they have acted negligently. We realize that you might be feeling overwhelmed on physical, emotional, and financial levels. The actions of another party do not have to dictate the rest of your life. Please contact us for more information today at 212-779-0057.